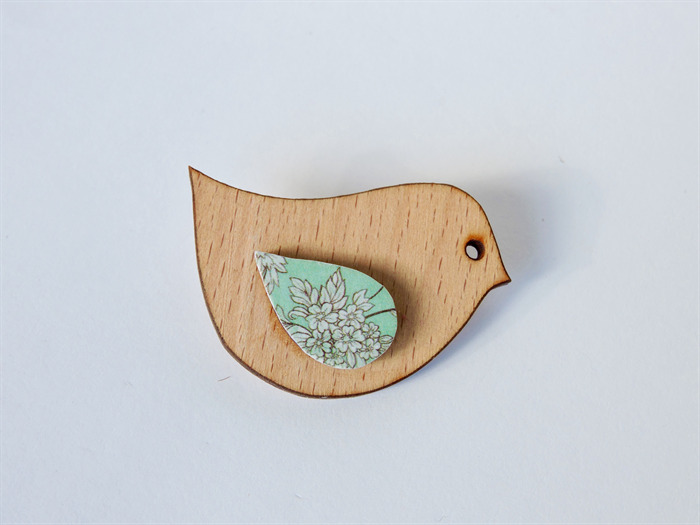 This is a wooden bird shaped brooch. 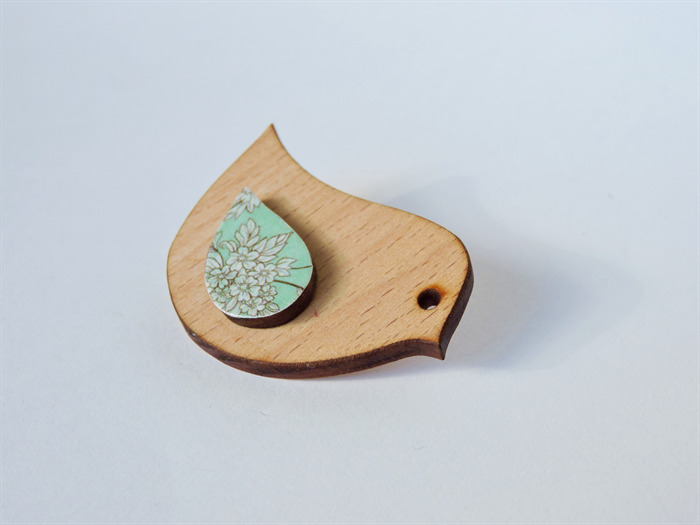 Laser cut from wood with a mint green floral flower pattern detail. Sealed with a water based sealer. Do take care not to submerge the brooch as it is wood and can damage.